Last month, I got an email from the authors of Pocket Cultures to include BuYousef.net. Their Blogs-of-the-World blog aims to show people around the world different countries and different cultures. It’s a very interesting website and nicely put together. Find the blog here. Bookmark it and have a look now and then. Thanks so much for writing about PocketCultures! And what a stylish screen shot. 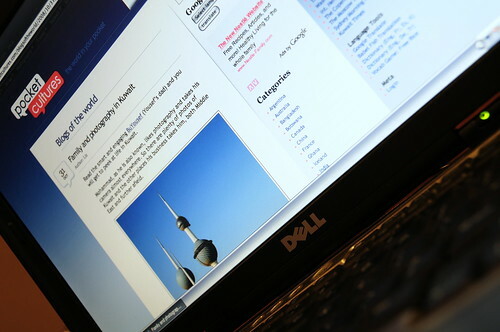 I look forward to learning more about Kuwait through your blog. It was time for a change and I wanted something simple and complimentary to the photographs. You’re welcome. Thanks for your visit. Much better layout 🙂 Congrats on the add-on! Appreciate the positive feedback, sadia and Patrick. Thanks Patrick.